Well, I’ve finally had some time to type up a fun basic workout for the beginner. Lately I have been working with a group of beginners to the fitness world. They have been enthusiastic and very motivated, and I’m beyond proud of them! 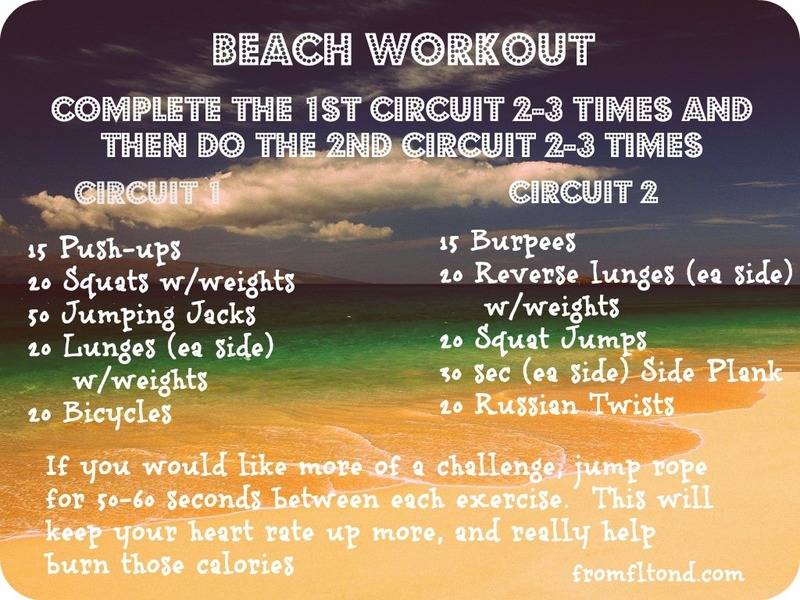 Below is a great circuit workout that will introduce you to basic plyo and weighted moves. 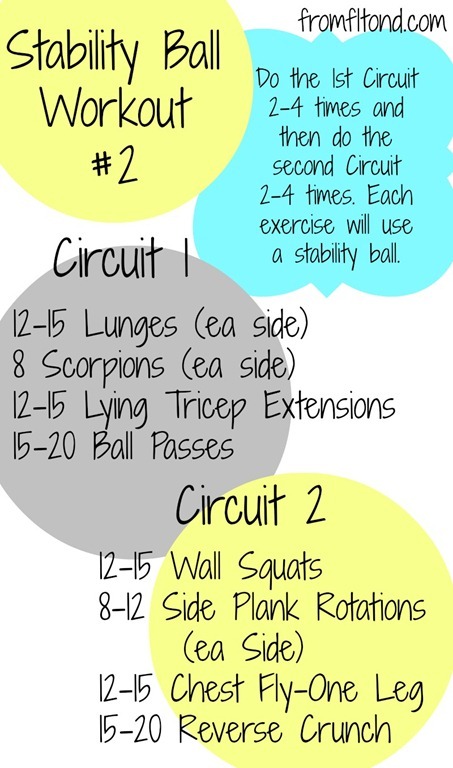 Complete each circuit 2-3 times before moving on to the two individual exercises, and then on to the next circuit. Feel free to end you workout with some abdominal work! 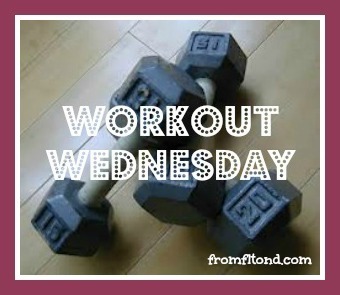 This entry was posted in Workouts and tagged circuit, circuit workout, full body workout, workout, workout wednesday on August 6, 2014 by fromfltond. It is time for me to get better organized! I’m actually an organize freak, but when it comes to workout routines I come up with while I’m at the gym things are a little different. I’ll write what I do down on a sheet of paper, and then shove it in a folder or in a file bin (in no order). Then, I will proceed to pile more papers and workouts on top of that. Well, I decided to spend part of this week getting everything in order and in 3-ring binders with page protectors. A lot of my stuff got shoved into a box once we moved to North Dakota and I was no longer going to a gym. I feel like I’m making new discoveries while organizing everything. 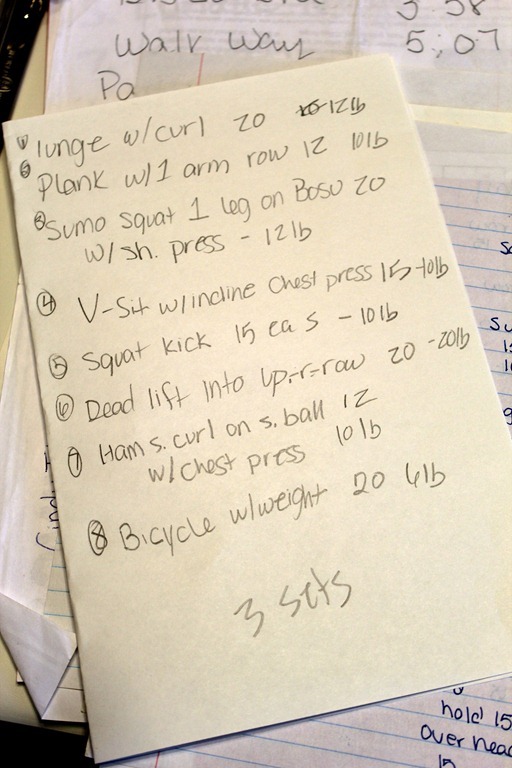 During my organizing rampage, I came across so many workouts that I loved to do at our gym in Florida. One in particular was a favorite of mine. I was so excited to come across it! 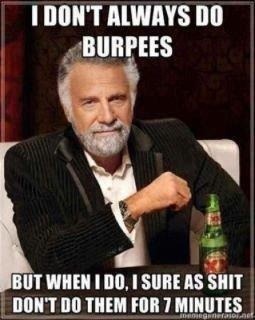 It will be my workout for Saturday morning! 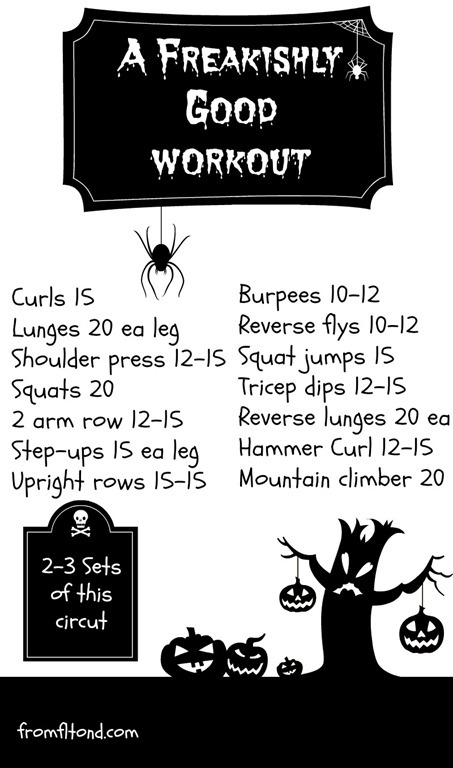 This workout will have you finding those muscles you didn’t know you had and burning those calories off from you Halloween candy in no time! Make sure you do some cardio before or after this workout too! I taught my 30 minute spinning class, but this 30 Minute Treadmill Interval would go great with this weight workout. 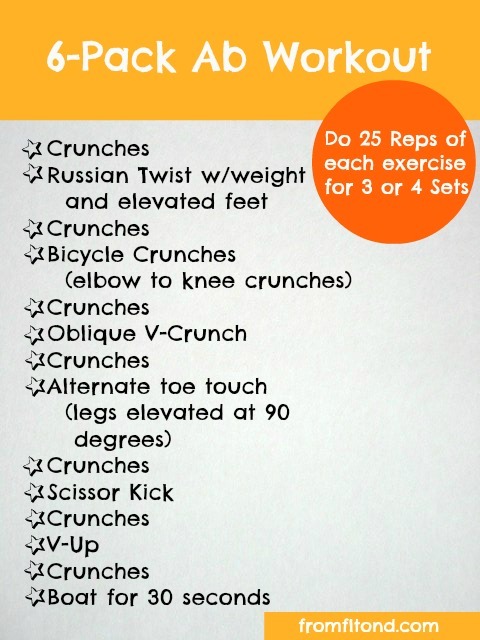 Below are examples you can view if you are not sure of how to do a certain exercise and a readable version of this workout! 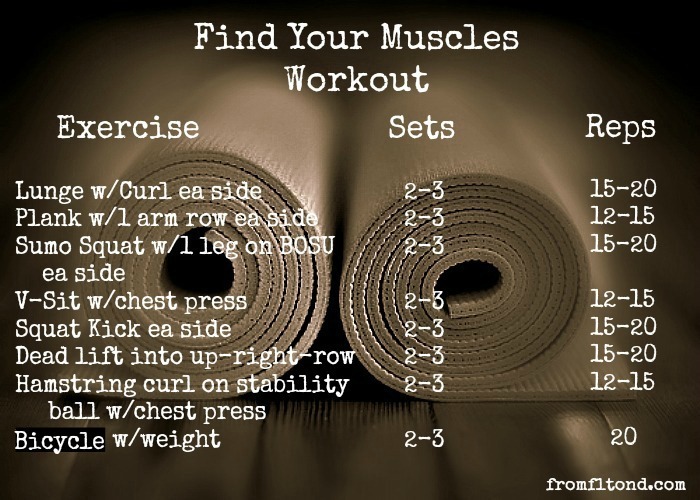 This entry was posted in Workouts and tagged 30 minute treadmill workout, circuit, full body workout, workout on November 2, 2012 by fromfltond. 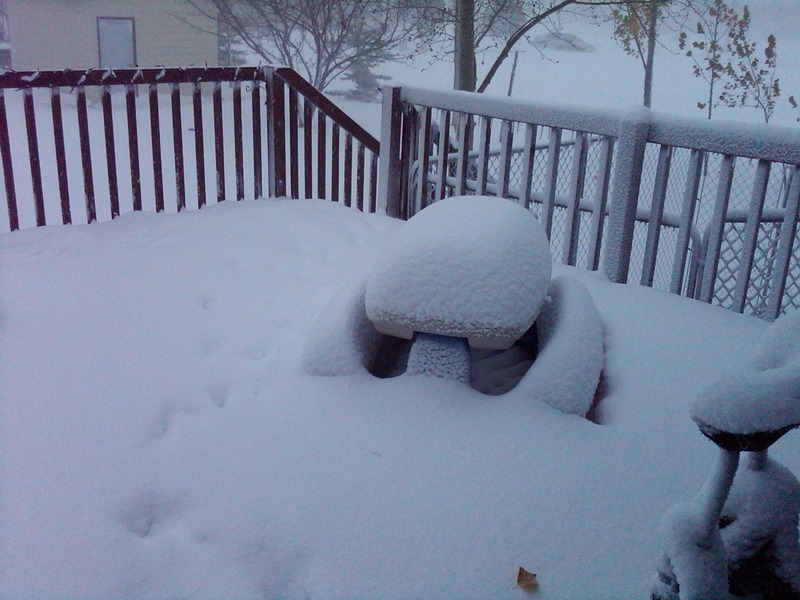 Today is another wonderfully chilly day in North Dakota with snow still on the ground from yesterday; however, it is nowhere near as bad as it was 2 years ago when we moved here. See the picture below? That was Oct 27, 2010. Need I say more? And, those are not Christmas lights on the deck, they are Halloween lights!! Thankfully I’m not staring at that this morning! Today I wanted to work on some more exercises on the stability ball. I love the way I can work my core during the whole workout and these are some of my favorite moves that I’ve been doing for years. 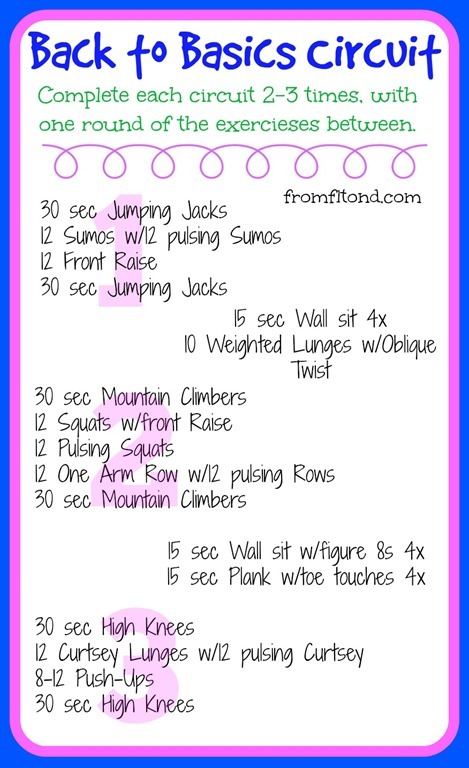 Below is the workout I did. I ended up doing 4 sets of each circuit…I also had 3 cups of coffee this morning. In case you are unsure of how to do an exercise, I have included links (below) to examples of each exercise. After my workout, I pulled out one of my trusty yoga videos. 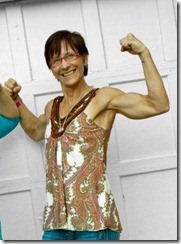 My muscles are pretty tight from this week, and I need to get a really good stretch in. The scorpion is a favorite. We did it in our first circuit with Best Body Bootcamp, and I just had to share it with ya! I haven’t done the scorpion in quite a few years, so it was “fun” to get back into that exercise again . Remember to stretch when your finished!! Scorpions– Hint: Place your ball against the wall for better stability. If this is still too hard, do the exercise without the stability ball. This entry was posted in Uncategorized, Workouts and tagged circuit, circuit with stability ball, full body stability ball workout, stability ball workout, workout on October 27, 2012 by fromfltond. Well, it is winter here in North Dakota. This morning it is a whopping 23 degrees. It has already snowed here a few times, and thankfully all of it melted. However, the freezing cold weather is here to stay (no matter how much I beg and plead …okay maybe overly curse mother nature). I know most of us want to hibernate once the cold weather hits, and this causes us to pack on the pounds. Make this the year that you don’t hibernate and gain that winter weight! Make it your goal to stay fit and healthy. I know this will be my goal for the winter, and I know it is going to be hard. There will come times when I will start pacing the kitchen (while hiding inside from the snow and –50 degree wind chills) craving something warm, gooey, and sweet. I will fight it!!! We all must or the winter weight gain will win again!!! I will not let white, ugly, fluffy stuff that falls from the sky be the reason I gain weight and you mustn’t either! So, we all must continue working-out throughout the horrible winter weather! The added bonus is that by continuing your workouts or starting to workout you will have that beach body for next year!! If you are just beginning, make sure you are incorporating cardio and weights into your weekly workout routine. This will keep you toned and burning calories throughout the winter. Right now I’m missing my beaches and warm weather in Florida a bunch. Therefore, I pulled out this old workout I did a lot in Florida. You can do it on the beach or dreaming you’re at the beach . Also, stay tuned for a free give-away that will be announced this weekend! 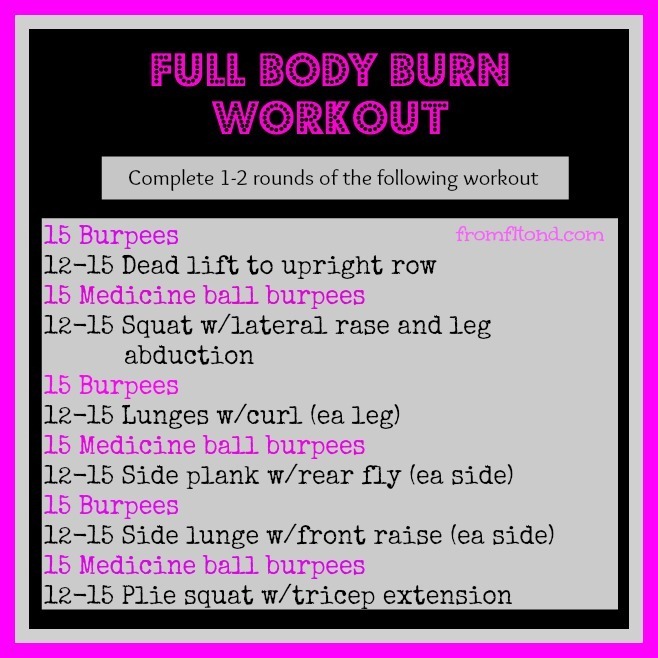 This entry was posted in Workouts and tagged beach body, circuit, circuit workout, leg workout on October 26, 2012 by fromfltond. Well, fall/winter (lows in the teens) is here. I’m not really all that excited about it since I love warm weather, but with fall comes heartwarming foods. I have spent quite a bit of time in my kitchen baking the past few days. I’m breaking out old recipes and creating new ones that use apples and pumpkin. We have a ton of both ingredients. With all this baking comes eating, or as I like to call it “taste testing,” and the taste testing has gotten a bit out of hand. Like most women, what I eat loves to settle in my abdominal and thigh area. So, this morning (before the baking begins yet again) I did some cardio and worked my abs pretty good with this 6-Pack Ab Workout. I always go to these ab exercises when I fear the worst for my abdominal area. This workout targets your oblique abs a bunch and will help those muscles pop! If you are a beginner to working out, you may only want to do 2-3 sets of these exercises. Remember to stretch afterwards! This entry was posted in Uncategorized, Workouts and tagged 6 pack ab workout, ab workout, abs, beach body, circuit, cruches, fitness, flat belly, workout on October 7, 2012 by fromfltond.